The site will become the home of the Innovation and Instruction building set to finish construction in spring of 2021. 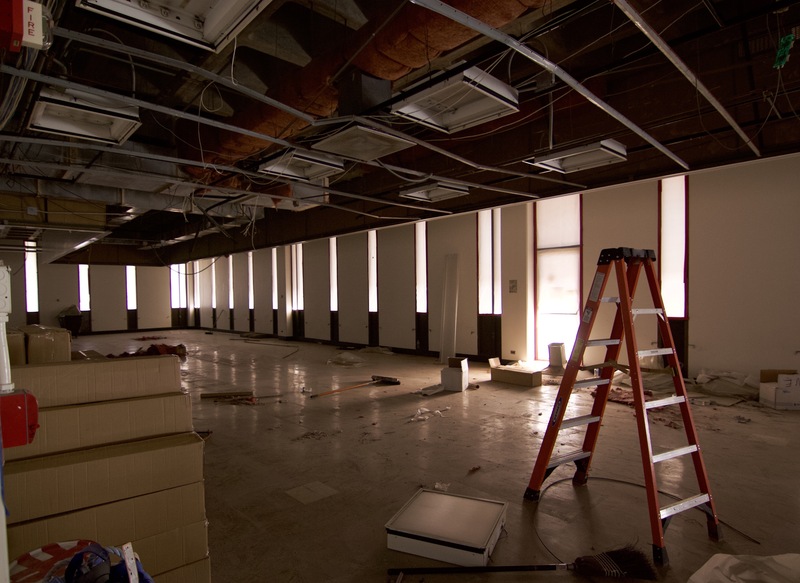 The SCC holds 18 classrooms, 16 offices and several organizations that need to be relocated due to the demolitions. Academic classes in the SCC were relocated to other parts of campus over winter break, and the 16 offices and organizations that remain are preparing to make a jump over to the new student success hub located on the third and fourth floors of the Leo F. Cain Library. Resource office sharing space in the new hub in the next couple of months. To accommodate the loss of classrooms, the administration has implemented what it calls optimizing software to create the most efficient schedule possible. Senior Analyst Yvette Nava explained that the software works by putting the sections and any parameters that the administration has, such as room capacity and class time in order to find the best scenario for all classes. Because nothing is perfect, compromises have to be made and some departments were asked to alter their class times. The administration is attempting to utilize shoulder periods to alleviate the strain during peak hours. As a result of the change students and faculty may have already noticed an increase in early morning and late evening classes as well as classes with a hybrid structure, where the class is partially online and partially in the classroom. Students will have also found an increase in the number of students in each class due to the space crunch. For instance, classes that were at 72 percent capacity in the SCC will jump to 80 percent capacity to keep up with enrollment and limited space. Interim Vice President Ken O’Donnell said that one of the parameters entered into the optimizing software centered around matching the room cap to the section cap. The section cap being the number of seats allotted for each class and the room cap being the amount of seats the fire marshal will allow in each classroom. O’Donnell said he believed that there was an effort being made to try and decrease the gap between the two in an attempt to utilize space.